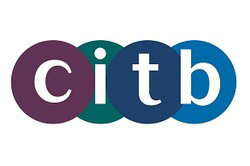 Recently we attended a meeting at the CITB (Construction Industry Training Board) to discuss up and coming changes and opportunities for our industry. It was great to meet with some of my fellow sweeps like https://www.sweepsmart.co.uk/. We discussed the challenges we face on a day to day basis and our views on Clean Air Strategy that has been recently published by DEFRA in May 2018. . Thinking of installing a solid fuel appliance? We’ve visited a number of customers recently that are renovating their house and in particularly wishing to have an stove installed. 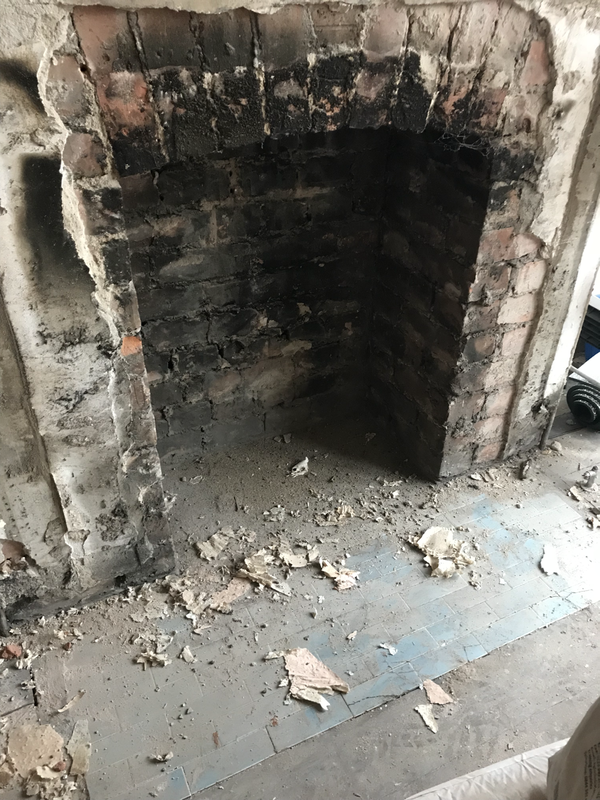 They have wanted the chimney to be swept in readiness for a stove and thinking of installing it themselves. Please be very careful, solid fuel appliances must be installed by a verified competent person for example a HETAS engineer, or certified by a building inspector if independently fitted. An engineer will issue you with a Certificate of Compliance (Building Regulation Compliance Certificate) on the completion of installation work. The certificate demonstrates that the installation complies with the relevant Building Regulations. The information on the certificate is used to record your installation, and used to notify the Local Authority. This self certification takes the place of a Local Authority Building Notice. The information can be required to validate your home insurance and will be required in any home selling process. Failure to notify the Local Authority can be an offence resulting in enforcement action. There has been a lot of talk recently in the media about the use of wood burning appliances and open fires. I am often asked if the Government are going to ban wood burning stoves or open fires, and I see some customers quite concerned over these speculations. DEFRA are currently seeking evidence from businesses like ourselves within the industry and data on the use of solid fuels such as house coal, smokeless coal, manufactured solid fuels and wet wood for domestic heating. The Government’s long term strategy is to see households move away from these polluting fuels towards cleaner technologies. DEFRA have recently produced a practical guidance to encourage clean burning to the public. Please try to take the time to read this advice. As you know we do try to encourage the use of good quality dry wood and smokeless fuels, as well as ensuring your appliances and chimneys are regular swept and maintained. Don’t forget that annual sweep! Don't burn the Christmas Trees! With us all now of taken our decorations down for another year just a thought if you're thinking of burning your old Christmas tree. ​Please don't.........pine wood has an exceptionally high resin content; this resin becomes creosote (tar) when burnt and is very likely to ‘tar up’ the flue. Also the needles and small branches may ‘flare’ when burnt and could ignite any residual soot or tar in the chimney. I've seen a few new customers this week using household coal in their stoves completely unaware of the damage they are causing to the appliance. When coal is added to the appliance it has a delayed burn, and does not immediately start to burn. However, what it does is release large quantities of thick highly volatile yellowish-grey smoke, which fills up the chimney flue. This is extremely dangerous. When the smoke reaches a high temperature it can cause an explosive flash. The force of the blast can blow out the stove glass or even blow open the doors of your stove. If you have burnt household coal before but have not suffered an explosive flash, you will still damage the inside of your stove. The volatile smoke released by the coal can still catch fire and can burn for up to 30 minutes. This can result in a twisted baffle plate, warped grates, damaged liners. For this reason, household coal should only be used on open fires, and providing you're not in a smoke free area. When did you last have your chimney swept? Just a few points points on keeping your chimney clean and safe and especially this time of year it is important to have your chimney cleaned before the winter. 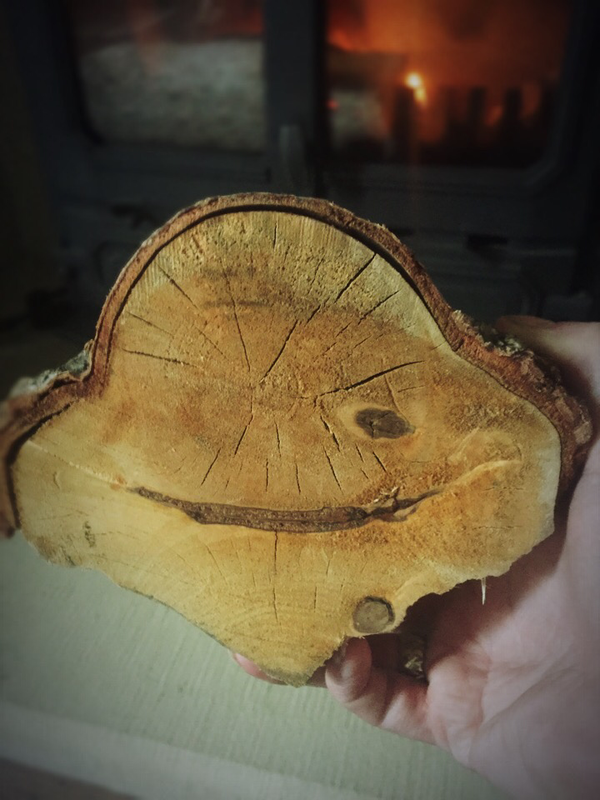 This week I came across a happy looking log. I felt rather emotional about it........especially when its smiling and winking at you just before you put it in the stove, what do you do? Some me may think I'm ridiculous, but I couldn't burn it. So it's earned a place as a fireside accessory now. Ive attended a number of chimneys recently that have a stainless steel liner installed but unfortunately has corroded. 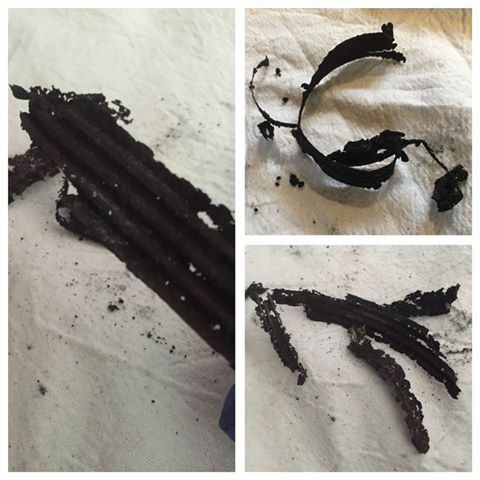 This picture is the result of corrosion caused when sulphuric acid is formed within the flue. If left unchecked and not regularly swept a stainless steel flue liner will corrode, allowing deadly gasses to escape. Remember stainless steel flue liners are installed only as a temporary measure and will need replacing eventually, some liners are only guaranteed for 10 years whereas some maybe 25 years. But either way, having the flue liner regularly swept and inspected will prolong the life of it. 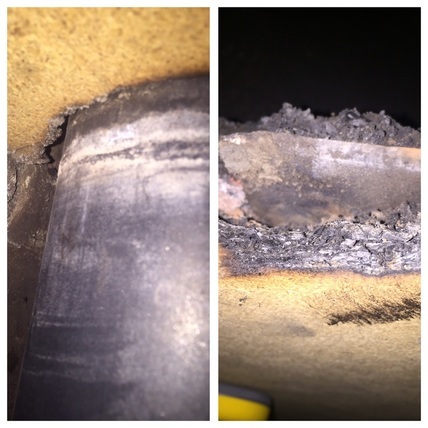 Some fuels used on an appliance can generate highly corrosive conditions within a flue. 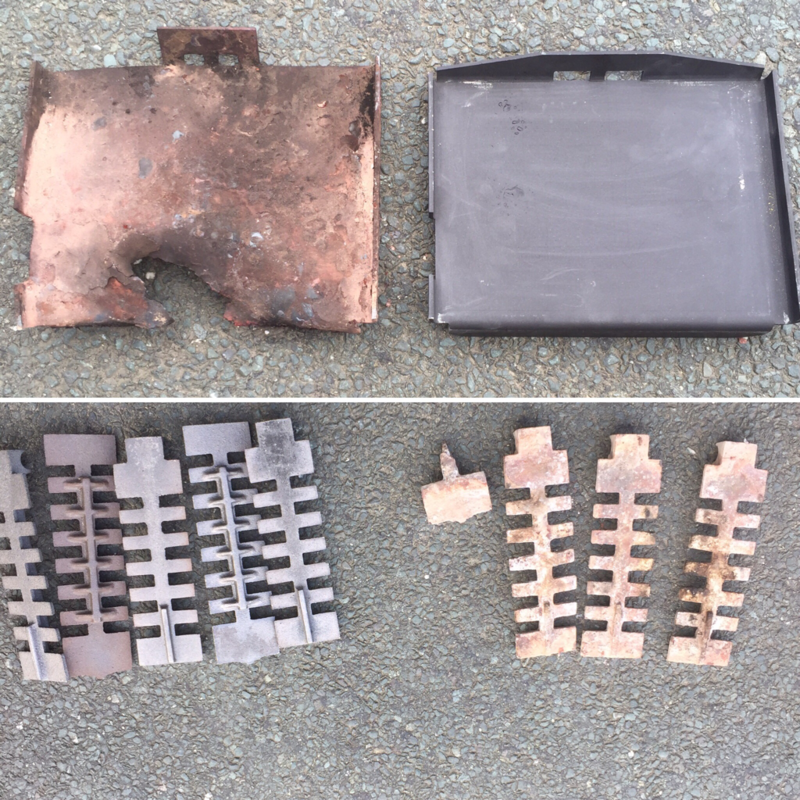 The effect of these conditions is the rapid corrosion and failure of the stainless steel flue, requiring the stainless steel flue to be replaced..
Why use HETAS Registered Installer? Hello, when you buy firewood, make sure that you are buying good seasoned firewood. Ensure that it was cut and split at least a year ago and then stored so that air and sun can dry it out. A good sign would be to look out for the cracks in the end grain of the logs, as it's potentially dangerous. Burning wet wood produces more smoke than dry wood, which releases more pollutants and small particles into the air. 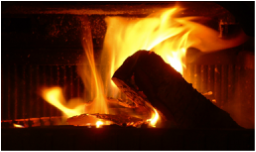 Burning wet wood can also cause creosote buildup in your chimney.